Destination . . . Willey Farms! From the humble beginnings of a roadside produce stand, to the 60,000 square foot facility that stands today, Willey Farms on route 13 in Townsend is all grown up. Don and Irene Willey started with an old airline baggage cart at the end of the lane selling fresh vegetables from their family farm. From that first summer on, the roadside business expanded quickly as news of the quality and freshness available spread throughout the area. Willey Farms is still family-owned today. A previous and current First State Favorite and News Journal Reader’s Choice winner, Willey Farms is proud that their customers are so loyal. With the population of the Middletown, Odessa, Townsend area growing rapidly, new people coming into the area hear all about Willey Farms from their new friends and neighbors, so we become a weekly or monthly destination. We’ve even heard customers remark that when their family comes to visit from out of town, they insist on a trip to Willey Farms. I learned quickly when I moved to Delaware, that you don’t buy your produce at the grocery store. You buy it at a farm stand. Calling Willey’s a farm stand is not quite right – this is a huge establishment on Route 13 between Townsend and Odessa. – Gwen D., Wilmington. In the produce department, you’ll find the freshest vegetables and an amazing variety, year-round. During the local growing season, Willey Farms supports our regional growers and farmers with awesome fruits and vegetables. And everyone has their favorites . 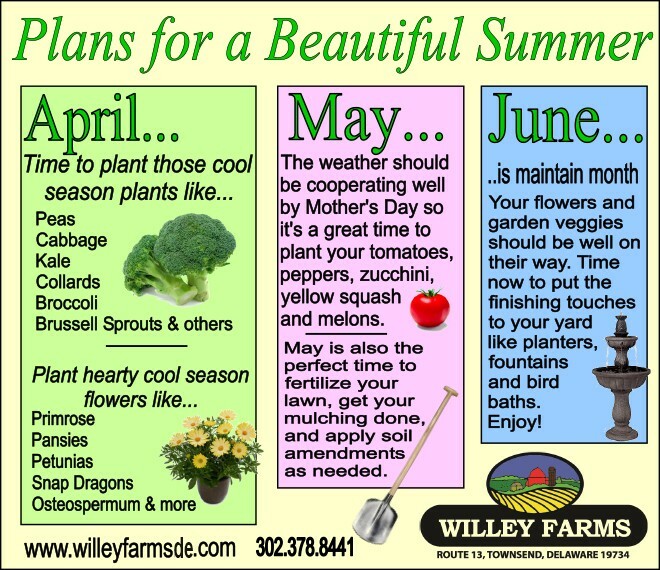 . . asparagus in April, strawberries in June, tomatoes in August, and broccoli and cabbage in September. For anyone with dietary restrictions, the natural foods section offers a wide selection of choices, free of food coloring, preservatives and excess sugar. Plus there’s dairy alternatives, organic food, gluten-free items and kosher choices. If you’re looking for natural vitamins and supplements you’ll find a couple of aisles dedicated to those products alone. Natural cleaning products too! When it comes to old fashioned candy, look no further! Root beer barrels, licorice allsorts, nonpareils, nut squirrel zippers and so many more! Plus, there’s gummy bears in every shape imaginable for the kids, jaw breakers and chocolate, chocolate, chocolate. Sugar-free and no sugar added, too! Our subs and sandwiches from the deli are a “must have” and our made-on-premise chicken pot pies, soups and hot entrees are a favorite with the lunch crowd. Sliced meats and cheeses, side salads and special order party trays are more of your options at the Deli. If you’re looking for gourmet options, we have domestic and international cheeses, fresh and frozen seafood, locally roasted coffee, locally-raised meat and eggs, and our Wall of Tea including wellness teas. If you enter the market through the south entrance you’ll find yourself in the Gift & Home Décor area where you can find a gift for any occasion or just a little something for yourself. You’ll see silk flowers, wall art, figurines, whimsical signs, town crocks, Delaware memorabilia, reproduction furniture and antiques. And that’s just inside the door! 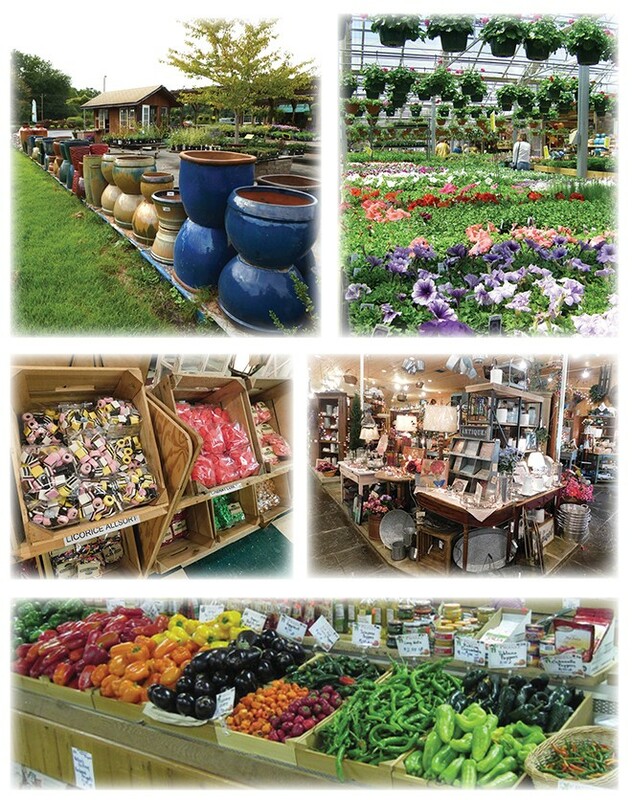 And as for the Nursery & Garden Center, Willey Farms has everything you need, whatever the season. There’s beautiful houseplants, annuals, perennials, trees, shrubs, bird baths, and pots. We have natural pest control, potting mixes and plant food too. Plus, there’s statuaries, fountains and planters in every size and color. So you see, that one airline baggage cart has become a “happy place” and destination for so many. When you stop by, be sure you have a little time to look around . . . there’s a lot to see! Next Story → Spring Is In The Air: Don’t Forget Your HVAC & Plumbing!